Clarification: This article has been updated to reflect that Reflexion Health has entered into the employer market. This morning, virtual physical therapy platform Reflexion Health announced that it has inked a deal with BevCap Management, a program manager for captive insurance companies. This marks Reflexion’s first deal in the employer market. 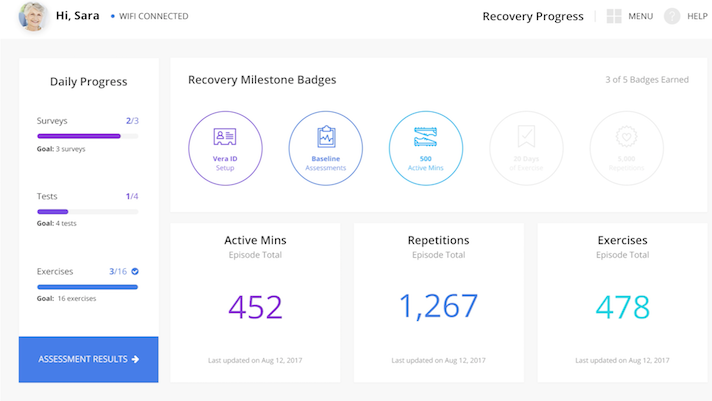 As part of the partnership BevCap’s clients will have access to Reflexion’s Virtual Exercise Rehabilitation Assistant (Vera) as well as Reflexion’s cloud-based clinical services network, which lets patients using Vera get care through video check-ins and follow-ups from a physical therapist. In 2015 Reflexion Health got FDA 510(k) clearance for Vera, which uses Microsoft Kinect motion tracking to help patients with musculoskeletal rehabilitation. While this is the company's first deal with employers, Smith said the company doesn’t anticipate it being the last. In addition to growing its deals with employers, the company plans to grow its physical therapy offerings and expand services to more clients. Investors have also taken notice of the company. Since 2012 the company has been raking in investments including a $18 million Series B funding round in 2016, a $7.5 million Series A round in 2014, and a $4.25 million seed funding round in 2012.